Was Captain Picard named after the Piccard twins? Star Trek creator Gene Roddenberry named Picard for one or both of the twin brothers Auguste Piccard and Jean Felix Piccard, 20th-century Swiss scientists. However, neither of the two references given in the Wikipedia entry for this "fact" are authoritative. (They are informal claims made by individuals with no obvious connection to Star Trek.) 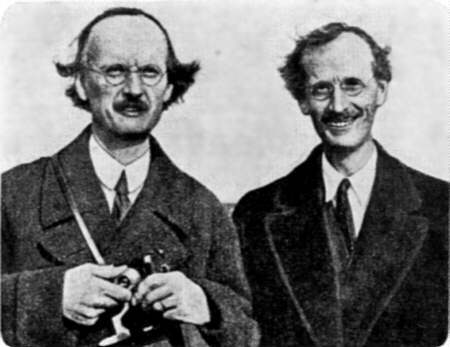 The same references are repeated in the entry on Auguste Piccard. Was Captain Picard really named after one or both of the Piccard twins? Bertrand Piccard (The grand-nephew of Jean Felix Piccard) claims this to be true. "Jean-Luc Picard was named after the twin brother of my grandfather. The twin brother of my grandfather emigrated to the US. He built the first stratospheric balloon...in the US. And he was taken as an example for Captain Jean-Luc Picard"
There was actually an astronomer named Jean Picard who, in 1680, was the first to detect the aberration of starlight which (although not explained until later by a different astronomer) was instrumental in proving that the Earth does, in fact, revolve around the Sun. While I have no grounds for saying that this is where Captain Picard's name came from as a definitive fact, I find it incredibly likely a Star Fleet captain would be named after someone so important to our understanding of astronomy and astrophysics. Not the answer you're looking for? Browse other questions tagged star-trek star-trek-tng behind-the-scenes jean-luc-picard or ask your own question.